Our die cast manufacturing facility is located in the “die casting town” of China. Which happens to be the second largest container port in China and just a 2 1/2 hour train ride from Shanghai. 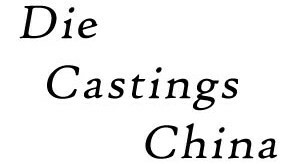 Die Castings China began as a small mold shop and with years of hard work, expanded to a full service die casting and machining facility. We have established a standardized enterprise management system through our quality system certifications: ISO9001, TS16949, Environment System Certification ISO 14001 and occupational Health and Safety System Certification OHSAS18001. Die Castings USA is located in New Jersey. From this USA location, our project management team is able to handle all sales, service, planning and supply chain control for projects in North America. Here we stock all products for customers in the NAFTA region (USA, Mexico & Canada). In Mexico, our JIT Warehouse operates in Monterrey to serve all customers located in Mexico. Our modern facility integrates die mold design, high volume production, aluminum alloy casting, zinc alloy casting, precision machining and secondary services. Our experience in Automotive, Agricultural, Electronic, Industrial, Medical, Defense and Off-highway manufacturing. This makes Die Castings China your best choice for die casting sourcing from China! Our Worldwide, OEM customers that purchase various die casting parts include: ZF Sachs, TESLA Motors, Chrysler, Regal Beloit, ABB, Standard Motor Products, GM Service Divison, Columbus McKinnon, Siemens, Volvo, K’A’Rcher, Nord, Da-Lite, Koshin, Panasonic, Haitian International, Warom and many more. Read more about our mission statement or watch our interactive company tour.